If you haven’t done so already, please take a few minutes and visit our Facebook page. We update Facebook regularly with Sanctuary news and pictures of daily life at the centre. Do you Twitter? Seems everyone is these days. If you have a Twitter account, be sure to follow us. for up to date feeds from The Sanctuary. Re-tweet to your family and friends and help to grow our 'Sanctuary community'. The more eyes watching, the more chance of attracting extra sponsorship! Are you a professional working in the Equine industry, Are you concerned about horse welfare. 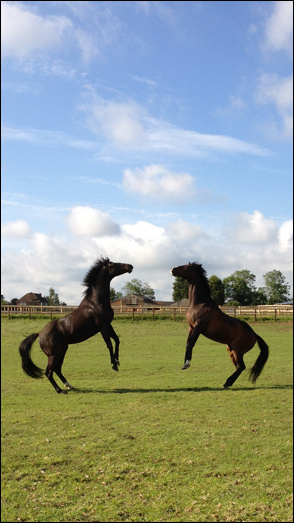 Do you want to connect like minded people...then join our LinkedIn Group - The Racehorse Sanctuary Group.